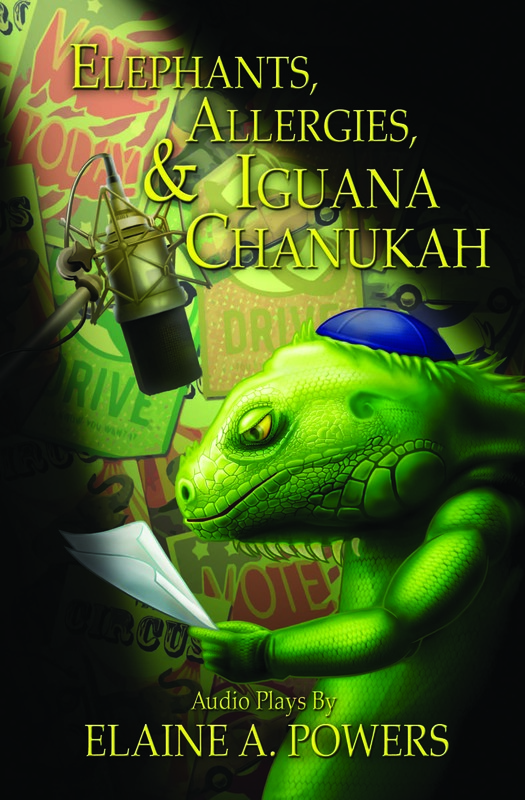 Elephants, Allergies, and Iguana Chanukah is a collection of one act length comedy audio theater scripts. The scripts require multiple actors and are well-suited for presentation by school and community theaters. "Joy’s Bug’s Blues" tells of an unfortunate encounter with an elephant. In "Take Your Best Shot," a man develops allergies to political parties but his allergist has the cure. "The Gift" is a Chanukah tale involving the rescue of an injured iguana and its impact on the family members, both human and iguana. Performance rights are included with script purchase.